Black Friday has become a national event, with week-long sales on every kitchen appliance and gadget you can imagine. Which can make shopping a nightmare. With so many deals to choose from, it’s easy to miss out on that blender you had your eye on or the buffet server aunt Donna wants for Christmas dinner. But now, with our guide to the best Kitchen Gadget Black Friday Deals, you’ll never miss a sale again. We did the legwork for you and have rounded up the best deals on the best kitchen appliances, so all you have to do is click buy. Happy Shopping! Kitchen’s are the heart of any home, which is why giving an appliance or another kitchen gadget is a great idea. From grilling tools to professional espresso brewers, there is something for everyone on your list. You can get your co-workers a Keurig for the office and your brother-in-law that new brewer he’s had his eye on. And what we like best is that these gifts give back, creating tasty meals and confections everyone will enjoy. 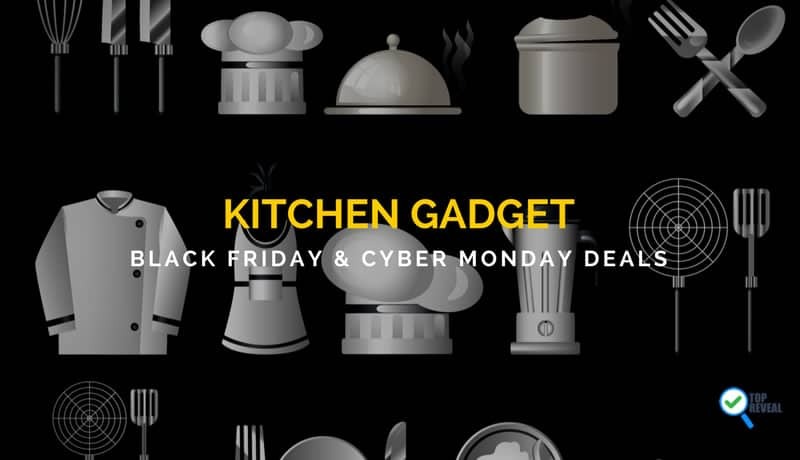 Now we get to the good part: our list of Kitchen Gadget Black Friday Deals. There are some great finds and incredible discounts you’re sure to love. And hey, there’s no rule that says you can’t pick up a little something for yourself. Great for larger families, this 18-cup water dispenser is a must for anyone who is serious about healthy living. This dispenser is excellent for removing, chlorine, mercury, and lead from tap water, leaving you with refreshing, crisp water that tastes as good as it is for your body The elongated design allows it to fit in any fridge, and parents will have no problem getting their kids to drink more water once they get a sip! 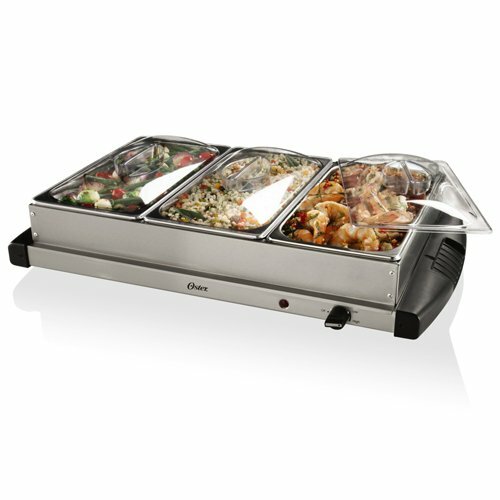 If you know someone who hosts a lot of parties, or you plan on having a New Years Eve party, this buffet server is a must. There are 2 compartments and each can hold 2 1/2 quarts of food, so you can feed quite a few people between refills. Even better, each warmer has separate heat control, so you can have a roasted ham in one tray and a cold salad in the other if you want. And the stainless steel casing and clear covers look elegant, so guests will be impressed. 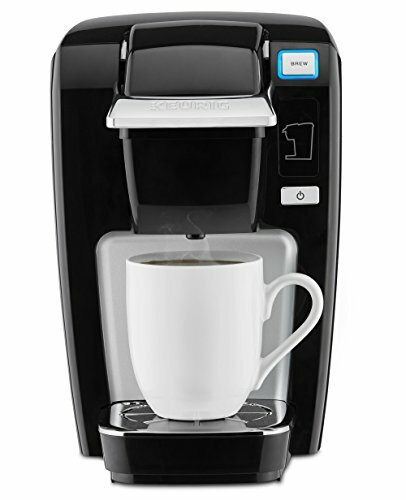 Perfect for any office or apartment, this Keurig coffee maker brews a perfect cup of coffee every time. The space-saving design means it can go on any countertop or shelf and the sleek casing compliments any decor. We especially like the auto shut-off feature, which keeps you safe and saves money, along with the fact that you can brew up to 10 ounces at a time- great for thos days when you need the extra caffeine! 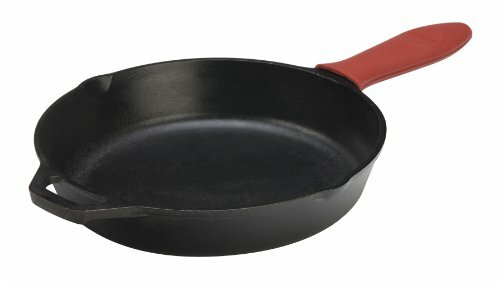 Any home chef on your list will love this cast iron skillet from Lodge. The funky red silicone handle looks cool hanging on a pot rack and the already seasoned pan is ready to go out of the box. It heats evenly, so you can flip pancakes, sear meat or broil some tasty chicken for you and your loved ones. We love that it can be used on traditional and induction stoves and that it is safe in the oven! 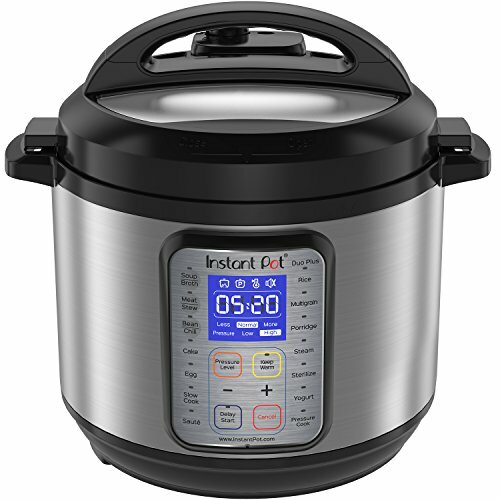 Just in time for those cold winter nights, this multi-use pressure cooker is at an all-time low price! This makes a great gift for anyone who doesn’t have a lot of time to cook or your sweet grandma who won’t need to slave over a hot stove for hours anymore. This cooker can do it all, from slow cooking stew to steaming rice and sauteeing vegetables. It has 9 uses in all and can create meals up to 70% quicker. Oh, and in addition to the impressive stainless steel casing and easy to program digital display, it comes with every accessory you can think of; from a steam rack to serving spoons and recipes- which is why it’s on our list! Stylish and efficient, this electric kettle is a dream for hot chocolate and tea lovers. 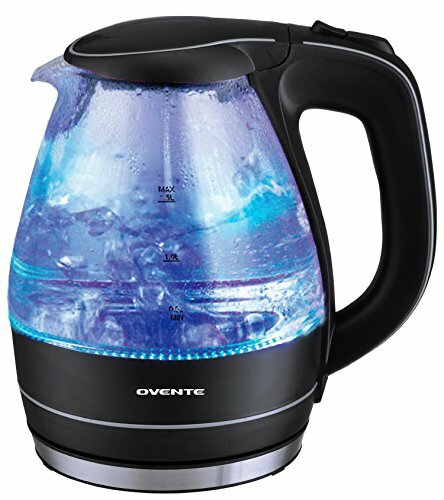 There’s a stainless-steel heating coil for even heating that brings water to a boil quicker than a traditional teapot and a cool blue LED light that engages when the water starts boiling. The handle stays cool at all times, so no accidental burns and there’s an automatic shut-off valve, so your water won’t evaporate. We think this would be a fun stocking stuffer or grab bag gift. Whoever is lucky enough to get this gift will be singing your praises, as this 2-in-1 brewer does it all. You can make a full pot of coffee or a single cup, which is great if your spouse or a guest wants a special flavor of coffee. It works with k-cups and brewing packets, so you can make any brand and the carafe holds up to 12-cups. 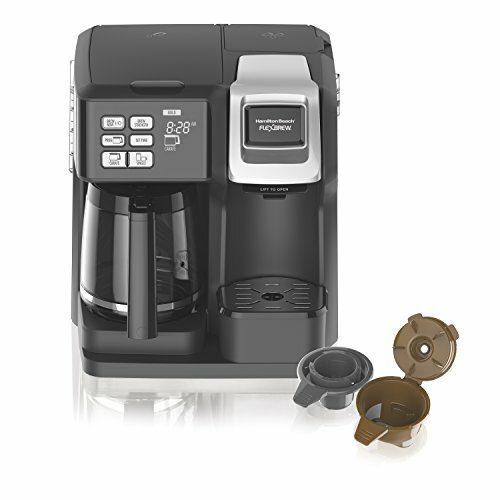 We especially appreciate the ability to program the unit- so you can have a steaming cup ready as soon as you open your eyes. Have kids you want to eat healthier? Or a parent who isn’t crazy about vegetables but wants to take better care of themselves? Then wrap this spiralizer up and give them the best gift ever. 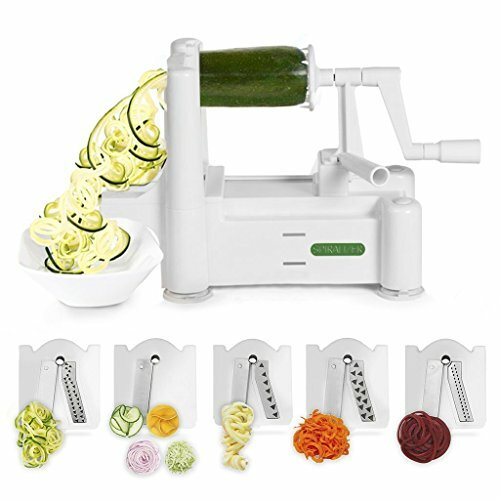 With 5 different blades attachments to choose from, you can make spiral zucchini spaghetti or good-for-you and tasty beet chips. Easy to use and clean, it’s durable and guaranteed to make veggie lovers out of the whole family. 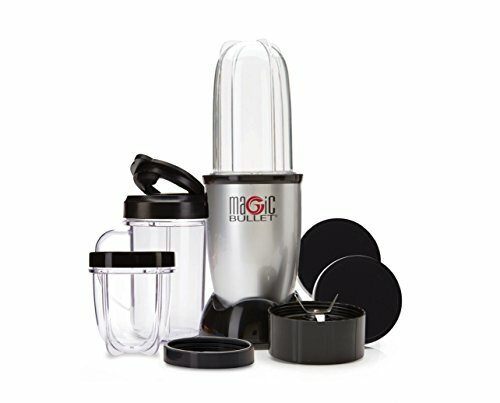 The magic bullet is a gift everyone will want, from new parents who are making homemade bay food to your brother who lives on protein shakes. Comes with travel cups and lids, so you can take your creations in the car or on the subway and the recipe book can help get you started or come up with something different. We love the high-quality design and how quick it chops and blends. If you have a spouse or friend who loves sandwiches, this combo grill and panini press should put a smile on their face. 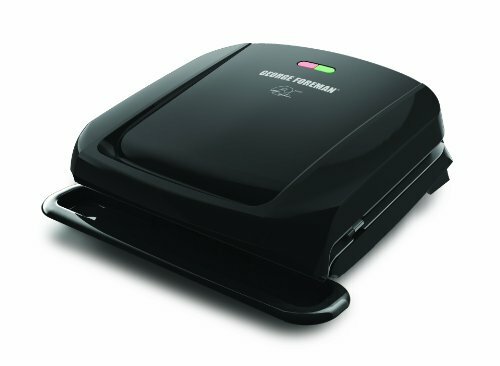 Because believe it when we tell you, this George Foreman grill is nothing like the older versions; this new version looks sleeker and does a whole lot more, from searing tasty meats to producing mouth-watering paninis. And with a long-lasting interior coating and 4 serving spots, mealtime and clean-up will be a breeze. 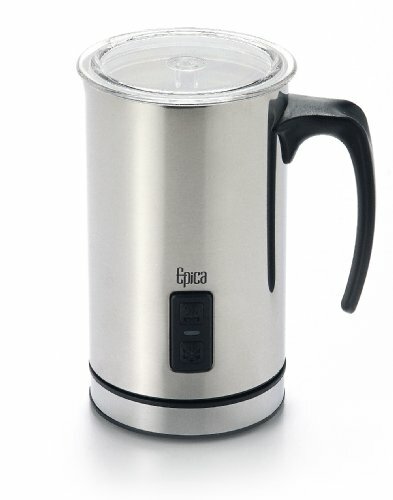 We can’t stop raving about this carafe, which produces hot and cold froth to make yummy hot cocoa or tasty cappuccinos. The stainless-steel body looks classy in any kitchen and the 3 settings give you a perfect froth every time. The carafe comes off the base so you can pour easy and it’s insulated, keeping milk hot or cold for longer. We don’t know about you, but we would definitely be thrilled to find this 4-in-1 blender under our tree! 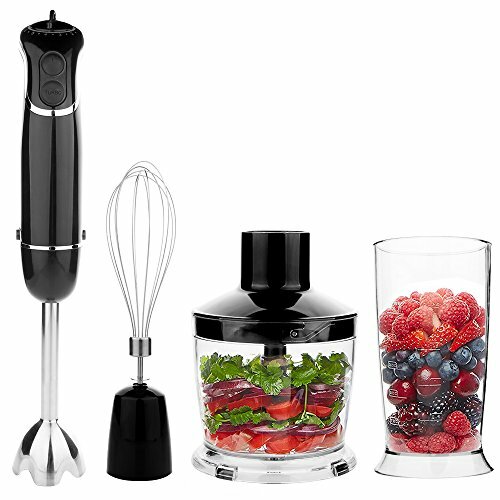 The food processor can be used to whisk eggs, blend smoothies or make delightful salsas, to name a few things. The beaker has a splash guard to keep countertops, and you, clean, and everything is dishwasher safe for no-hassle cleaning. Whoever you give this to will never overcook a turkey again on Thanksgiving, which could make you their hero. 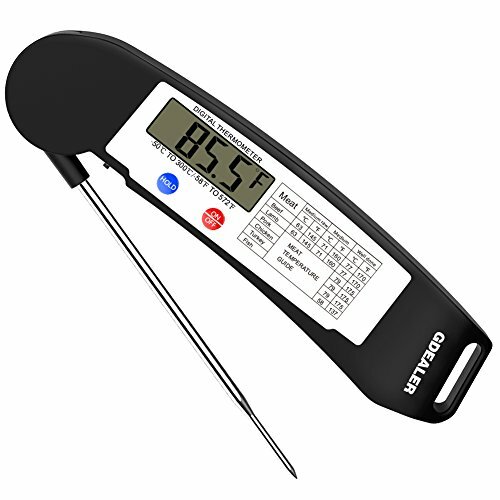 Good for meats and liquids, this thermometer reads in under 6 seconds, so you can remove that ham from the oven or take thatstew off the stove just in time. It shuts-off after 10 minutes, has a meat chart so you know the right temperatures and the probe folds in, so no one will get accidentally stuck. Black Friday, in case you don’t know, is the day after Thanksgiving (Friday) and features store-wide sales from every major retailer; many stores open Thanksgiving night to start their sales early and stay open 24 hours and some even do pre- Black Friday and weekend-long sales. And what makes Black Friday better than any other shopping event is that prices are the lowest of the year. You won’t find a better deal any other time, which is why it’s important to shop, shop, shop!